Recall: 1. 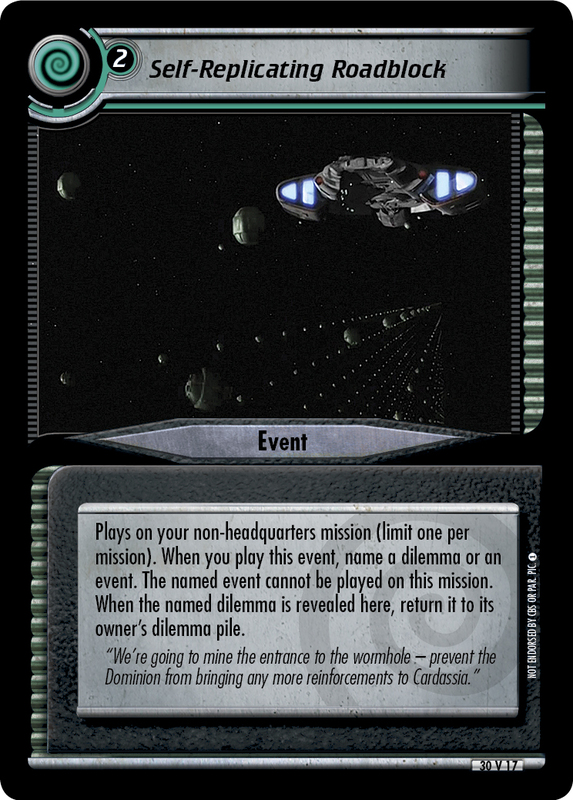 (While this event is in your discard pile, you may play it from your discard pile at cost +1, then remove it from the game.) To play this event, you must command three personnel. Choose an opponent to discard the top card of his or her deck. 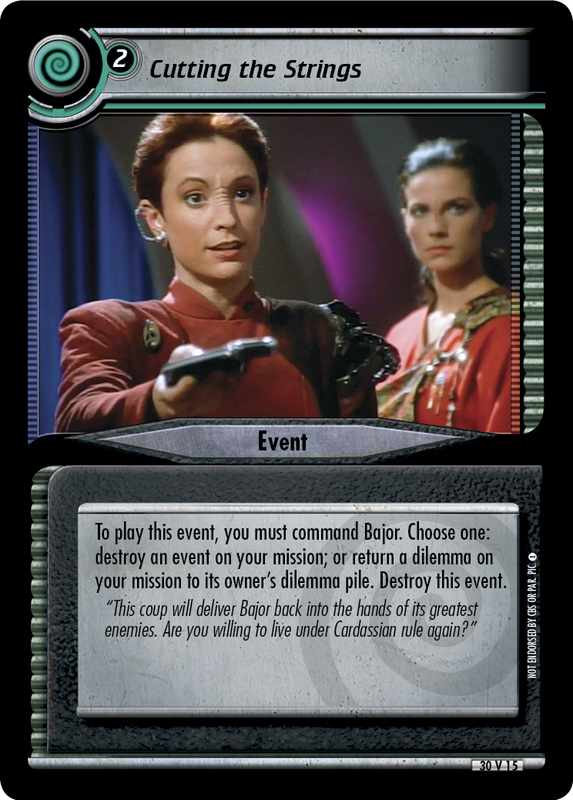 If that card was an event or an interrupt, you may draw a card. Destroy this event. 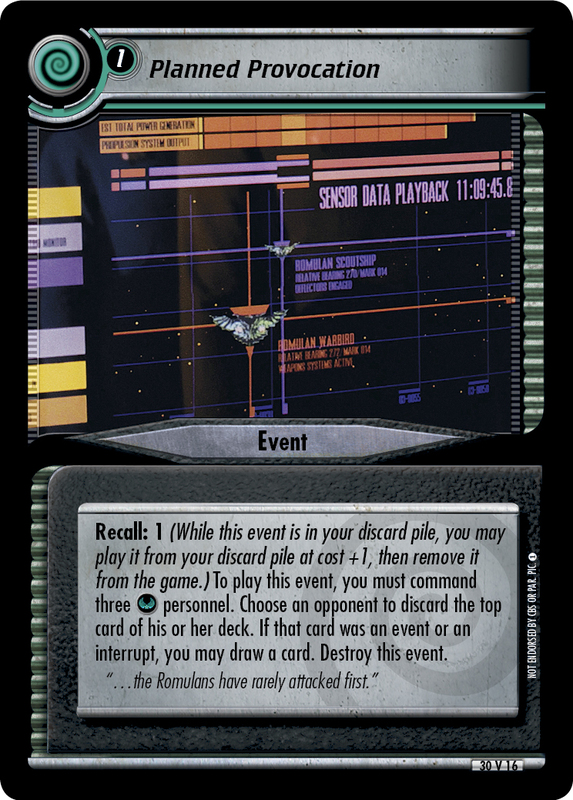 "...the Romulans have rarely attacked first."